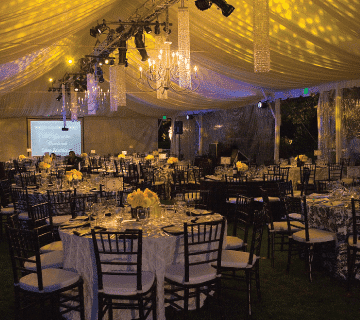 With literally thousands of satisfied clients throughout the Bay Area, Stuart Event Rentals receives accolades and praise year after year for outstanding service and performance. We’d like to share just some of our customer reviews and testimonials so you can hear what others are saying about Stuart. I appreciate all the hard work you and your crew did. Everything went well, and your crew was great. I would definitely use your company in the future. The tent was fantastic and it was the perfect size! 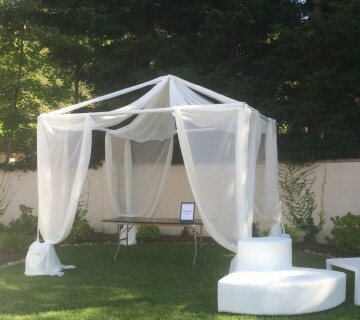 The tables looked amazing and everyone was so comfortable…and a warm, beautiful day!!! Many thanks for your help! I will definitely call you the next time we’re in need! Everything was fabulous and beautiful and just perfect! This will become our annual thing – and the installers were FANTASTIC. You are awesome. Thanks! I wanted to thank you for the help you (Julia) and Kathy provided us with our wedding last Friday. Everything turned out so beautifully and we had so many compliments! Thank you for accommodating us, even on such short notice. 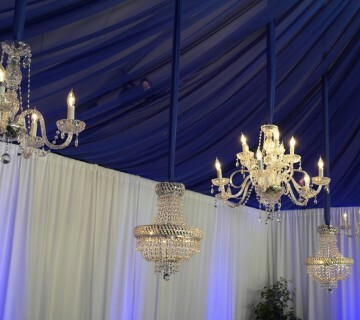 The lighting with lanterns were very pretty and we appreciate those who delivered and set-up doing such a nice job. Thank you once again for everything. We will definitely recommend your services to our friends! I wanted to thank you for all the help and wonderful service Stuart Rentals provided me for the bridal shower held at my house last weekend. 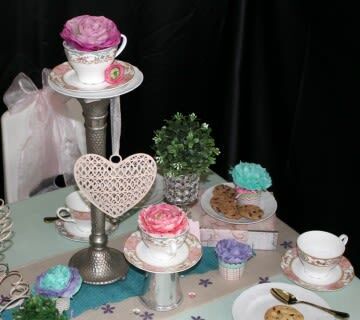 The bridal shower was a huge success, and Stuart Rentals was great. 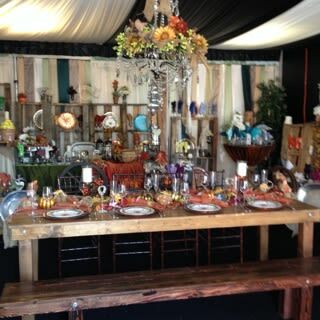 The tables, chairs, flatware and glassware, were in perfect condition and looked great. I appreciate all your help and sage advice. 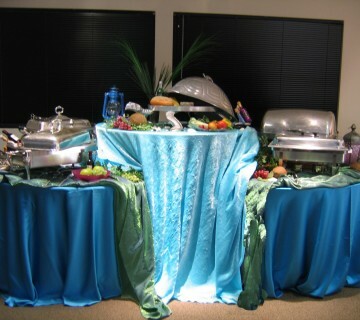 I will definitely use Stuart Rentals again for big parties and come to see you… for your excellent help with the details. I want to take this time and give my compliments to your installation team. Roger and staff were prompt, courteous, accommodating, and professional. They arrived on time, got to work right away and took time to check in with my staff to make sure things are done to our satisfaction. 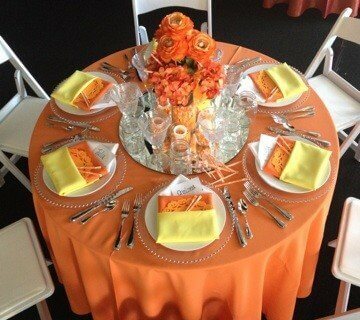 It was a pleasure working with Stuart Party rental. Thank you for making this event so memorable. I wanted to follow up to let you know that my event was a HUGE SUCCESS!! Everyone loved the lounge furniture and the ambiance that it brought to the event! The delivery staff was so nice and very helpful! Everything came on time and looked as pictured! I received compliments on the decor throughout the evening and even the notes that I’m still receiving! Thank you for being so great to work with! You made everything so easy and it all came together very nicely! I look forward to working with you on my next event! I am sure you know there is a lot of planning and work involved with these events, and they just never seem to go as planned. 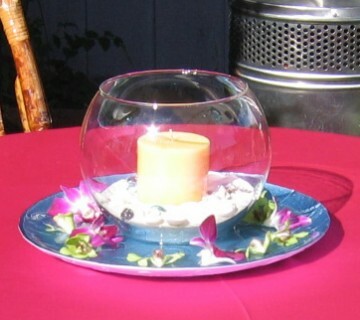 So knowing that there is a vendor that you can rely on, is key to a successful event. You and the crew were absolutely fantastic with your expertise and suggestions and always able and willing to help out. I could have not done this without you guys. I wish to express my thanks to everyone for making this day and event such a success!! Let me just start by saying…WOW, YOU ARE AWESOME! Thank you again for all of your efforts, it is much appreciated! The tent worked out well. It was a beautiful evening. Thank you so very much! 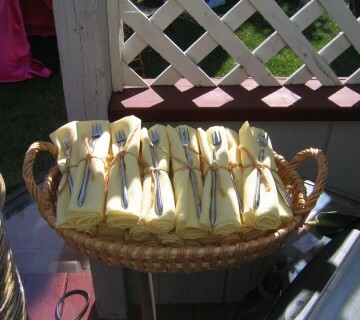 Your tables and chairs were perfect; as were you delivery crews, timing and attention to detail. Kathy you were amazing. Thank you so very much for your partnership. You have NOT seen the last of us! All the best. When a function such as our School Auction is a success, the credit starts with the one that executes on the planners’ vision. 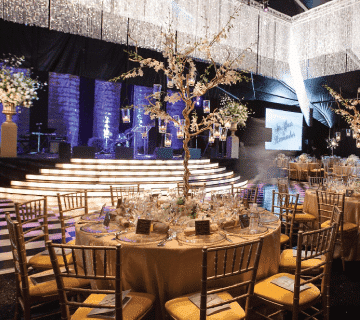 Your fine work, excellent advice, planning and realistic scheduling resulted in a smooth running build creating a magical venue. Thanks to you and your team, the school now has an outstanding model to follow for years to come. Your project manager, Roger, was so professional and trust worthy. He kept me posted every step of the way on the build, set up and take down over the three days on campus. 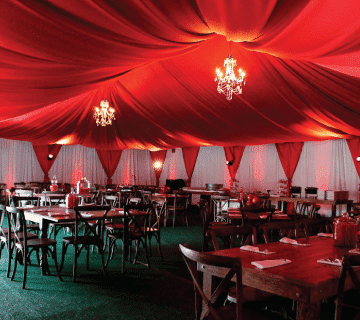 We were so impressed by the quality of your tent and equipment. The care your team took tying up all the details, making extension poles, electrical cables, poles, water barrels, etc. safe for guests visiting the tent did not go unnoticed. Our event was very well received by our guests. 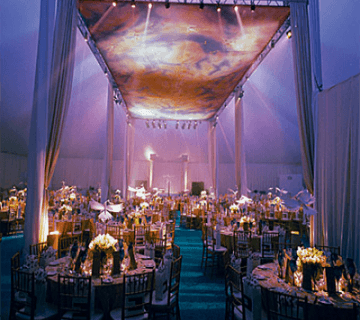 The tent was spectacular and I heard praise for the event all evening. The senior leaders loved it so much they want to do another one again in the future…so I might be reaching out again in a few months 🙂 Thanks again for all of your help on pulling this event together. Hope we work again together soon. Thanks so much for your help and the rentals for my daughter’s wedding reception. It came off without a hitch. The biggest hiccup was some patches of longish grass! It was a good day. The guys who brought the rentals were professional and worked with my team to get things unloaded for set up. 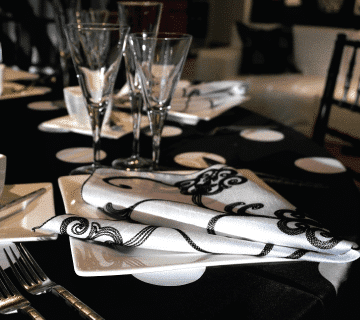 I was impressed with your professionalism and that you already knew the requirements for the venue I’d chosen and what to advise me in terms of tables chairs etc. Should an occasion come up again for me, I will use Stuart Rentals again, mostly because of you and your team. Your team was phenomenal. I can’t thank you/them enough for their professionalism, timeliness and patience! We had to move some things around a bit to meet the fire code specs and Victor was so gracious and accommodating. It’s such a crazy and tight timeline to be ready to go at 8am and your team made it a little easier for me to breathe. 😉 It’s a pleasure to do business with Stuart Rental Co.!! I just wanted to thank you for helping us with the fair. Both of the crews who dropped off and picked up our order were great. They were on time, they were fast, and they were helpful. I would not hesitate to use Stuart Rentals again, or recommend them to anyone. Many thanks for all your help with the Class of ’72 Reunion Party in Old Union. The party was a huge success and something I’m sure will be talked about for years to come. I enjoyed meeting you and it was truly a pleasure working with you. Thank you for making my first Stuart Rental experience a pleasant one. The staff and the men in the back were very helpful and our party was a SUCCESS! And you’re all part of it. Smooth as could be . . .[The operations manager] and the crew were excellent. Great turnout. Exceeded Expectations. The evening last night went off flawlessly. Thanks for your efforts in pulling this all together last minute. The stage set up was great, the lighting was right on and added such a nice effect, and the balloons including the soccer player were such a nice addition… And [your operations manager] has been a complete pleasure to work with. The installation was so smooth and he is doing a great job now of tearing it all down. Thanks and look forward to working together again. Our experience with Stuart Rentals was excellent. You have been very responsive and helpful to us. The order was complete when it arrived. The guys were extremely kind and helpful. They arrived early, stayed to offer help with the tents, and at the end of the day when we were completely exhausted, they helped gather heavy buckets and tents. I will definitely recommend using Stuart for future events. Thanks again for helping us make our day a success. We wanted to formally let you all know that you all are extremely thoughtful, intelligent, and helpful individuals. We are grateful for all the assistance that was provided to us for our recent wedding. You all went out of your way in providing us with creative solutions that helped make our wedding beautiful and in helping us with certain “situations” we encountered. Many thanks again for being excellent at what you do! You made us feel that you cared and it was personal to you… which makes you special to us. I just wanted to personally thank you for all of your hard work and diligence on this order that went out last Friday. I truly appreciated your attention and assistance in all of the last minute changes that went into the order. Especially when I had last minute additions on Friday morning – your assistance was outstanding and thanks to you, everyone had the right place setting in front of them on Saturday evening. 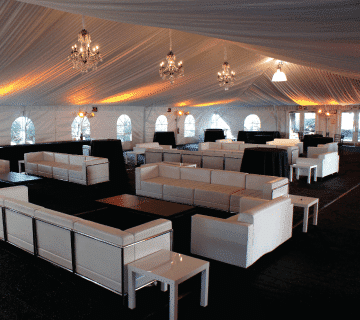 You proved to me that Stuart Rentals is truly an event partner that I can count on. Our reunion party was undoubtedly one of the best parties put on in the venue and also acclaimed within the university alumni organization for its festive nature and rich environment. The feedback from attendees has been remarkable and continues even with this much time having passed. It is a testament to your standard of excellence and creativity that we were all touched so deeply. [We] had the easiest job possible. Find top people that do something they love doing and trust them to do it well. You did it very, very well, and those simple words do not do justice to the event or our appreciation. Thank you for giving what you gave and doing what you did. It was a truly wonderful night to be remembered by many of us forever. 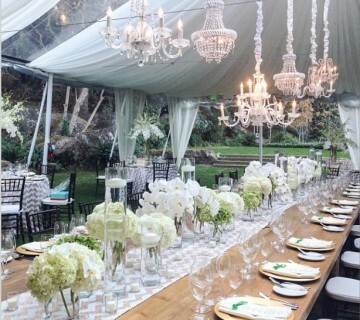 I want to say thank you to all the folks at Stuart Rentals that helped to make our Dinner Party venue a beautiful one. 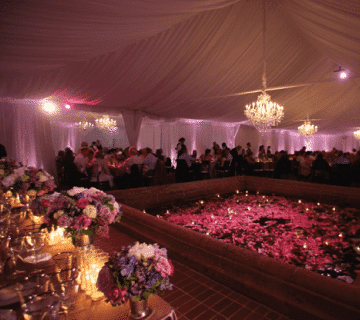 All the guests were amazed at the gorgeous tent…and it certainly was a huge contributing factor to the enjoyment of the evening. You did a fantastic job of getting it “up” in time and getting it all just “right”… And, as promised, the “canopy” over the bar, when lighted was really just the touch we needed to make our Party something really special. What a wonderful job you all did for our 50th Reunion. Thank you..special thanks to [your] hardworking crew who made such an effort to do a beautiful job. 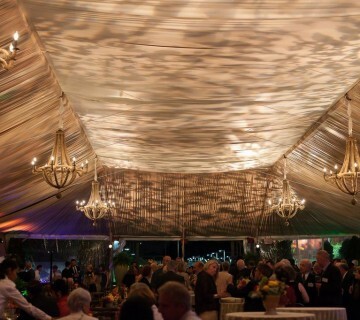 Thank you so much for all your help in tenting the Veranda at Four Seasons for the Raphael House Gala. It was perfect! Everything flowed much better with that extra “weather-proof” space. Thank you again for making the New Works Festival such a success! You were a pleasure to work with. This is just a quick note to let you know that the two Stuart Rental employees who set up and broke down our tent, tables, and chairs yesterday at the Oakland Army Base were wonderful. The awning was already erected when we got there and they came to pick it up right on time. Great service from these two! Please pass along our compliments. We really appreciate how helpful you have been. 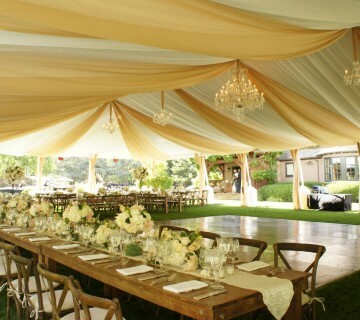 We will continue to use Stuart Rental for all of our rental needs in the Bay Area. I just wanted to thank you for a job well done. Especially having to deal with last minute layout changes and timing. [Your crew] was very professional and good to work with. Thanks again – the event was a huge success. BTW – the blue carpet was a big hit! Thanks so much for your hard work and your FABULOUS staff. Our owner was thrilled with the whole event. I know your team had extra stress because of the rain and other events – but I felt like we were your only client for the whole week. [Your Operations Manager] of course was AMAZING and he fixed the power problem that our less than stellar AV couldn’t. Doing this important event was so much easier because of the attention that you and your staff paid. It is very much appreciated. You also made me look good in front of my boss – HUGE Thanks! As usual, another fabulous job! I just wanted to say thank you so much for planning, organizing and updating me throughout the rental process. The tent was a hit! Everyone complimented on the tent, heating, tables, chairs, dishes and everything. 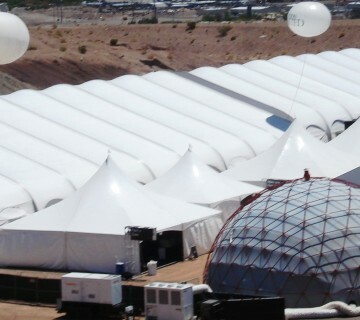 Many folks asked us who we rented the tent from so we passed your company’s name around. We somehow managed to cram about 140 people in our house and in the tent and there was plenty of room for everyone. Also, the delivery guys were wonderful and efficient. Thank you again and if we ever have a large party, we’ll definitely be giving you a call. On behalf of the Chabot College Foundation, we thank you for your tremendous help and support with aiding the committee this year. Due to all your efforts, organizational skills and follow-thru, the event was a phenomenal success, capturing the essence of design with elegance and creativity, and creating important visibility for Chabot College programs. Thank you for your patience: we know at times it got a little crazy! You and your staff were really extremely gracious to us: thank you! I want to personally thank you for working with us to create the style and ambiance that set the tone for one of our best events ever. 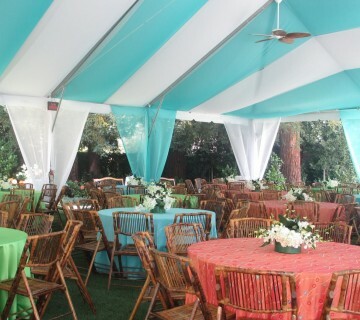 The Law Foundation of Silicon Valley’s Celebration of Justice Dinner this past May was outstanding, from the multiple colors of the linens each with separate accent napkins to the gold Chiavari chairs. Our guests enjoyed the Mediterranean theme created in the Hyatt Ballroom. 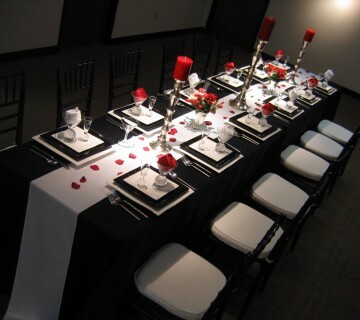 We will be sure to recommend your services to our board members and patrons for their own events. The Celebration of Justice Dinner was a huge success and raised much needed funds to help families, children and individuals protect their basic human and civil rights. Thank you for helping us. THANK YOU ALL FOR EVERYTHING AND MAKING OUR WEDDING A HUGE SUCCESS! Our wedding day would not have been what it was without ALL of your help! Thank you all for being very patient with me throughout the whole wedding process! 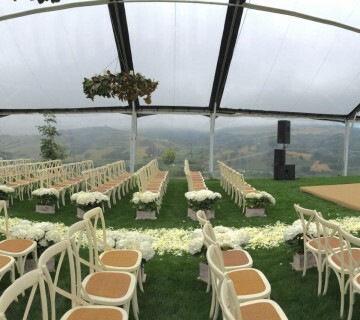 Our wedding day would not have been EXACTLY how we had envisioned it without all of your guys’ hard work! All of you contributed to the success of our day, and it goes to show that all of your guys’ professionalism and great work coming together is what made it just that, a HUGE success! I am writing to share my recent experience with your services. 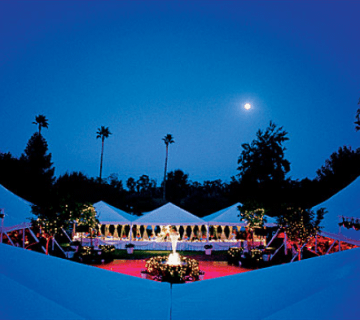 On the day of the event, your delivery and set-up team showed up promptly at the agreed-upon time and location. 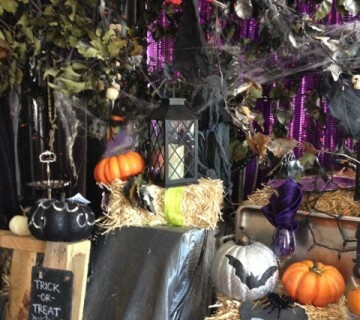 I greeted the team and gave them some brief explanation of how I wanted the set-up to look. All of my instructions were followed exactly and with adjustments made by the team when needed. Even though set-up began at 7 a.m., the weather that day was expected to be very warm (95-100) and it was already heating up. The team made no complaints about the heat and proceeded with the set-up in an efficient manner. In fact, just as they completed set-up and were about to leave the site, we asked if they could make one more layout change. No complaints, no fuss, they simply accommodated our request with excellent customer service. It is obvious to me that Stuart Rental Company values customer service and recruits team members who share that same value. I am truly impressed with every member of your team that worked on our event. Please pass on our satisfaction of service to those who helped to make our event a success! N.T. from City of Sunnyvale , California. Thank you so much for all that you did for our SPARK Auction [Fashion Show] Weekend. You have been great to work with and we truly appreciate you going above and beyond with everyone’s requests. We look forward to working with you again on future events. As usual, you are amazing and we can’t thank you enough for everything you do to help make our Reunion Homecoming a great success. Thank you for being so flexible with the many changes and for being such a great partner. Looking forward to another great year with hopefully more sunshine! Just want to let you know that I had a very pleasant experience with the staff when I rented number holders for a party I was hosting. Even though it was a very small transaction I got a sense of how important customer satisfaction is to your business. Thank you for your great service. Thank you so much for helping us throughout the planning process up until the duration of the fair. The items that were rented from Stuart Rental Company were in top condition… thank you so much for all of your assistance. Your staff members were very generous and helpful as well: please extend my thanks to them. Y and R’s wedding was absolutely beautiful, maybe my best wedding yet. 🙂 They were sooo happy. When they arrived, she nearly screamed and hugged and told me that it was so beautiful and that it was exactly what they wanted. They were so thrilled. Thank you so much for your outstanding professionalism. It has been such a pleasure to work with you so far and I look forward to many more weddings using Stuart Rentals. Thank you to you and [your] crew for all the hard work setting up, breaking down, loading and unloading. Everything was just perfect and seamless. They did a great job on Saturday adjusting the stage… It was a pleasure working with you again. We are recommending to next year’s chairs that they contact you. We can’t thank you guys enough for making our activation such a success. The structure looked great and fans really seemed to enjoy the space. We especially appreciated the quick turnaround and flexibility with such late notice. We will certainly keep you guys in mind when other activation opportunities in the Bay Area arise.